Scroll down for more, including video of George McLaird’s loving, funny comments about David. David’s wonderful obituary story in the Marin IJ. Remembering Rev. David Jacobsen in worship. Good stories. Good memories. Good friends. 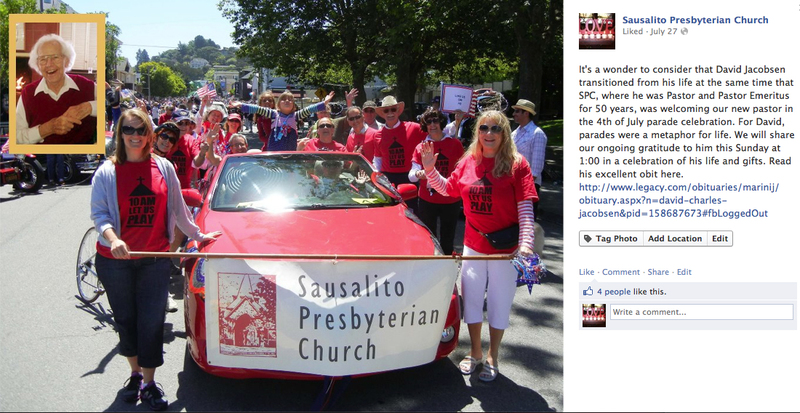 The Sausalito Presbyterian Church community mourns the passing of our beloved Pastor Emeritus, the Reverend David C. Jacobsen. 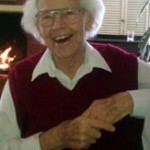 Born on May 5, 1922, David passed away yesterday on July 4, 2012. He was called by this church on August 21, 1960 and served until 1969, and then returned to the church from 1972-1975. 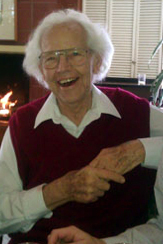 His wife of 66 years, Helen, who passed away in March 2011, was also deeply loved by this community. Together they developed and lead the Prayer Renewal workshop all over the country and began a healing prayer group here thatcontinues to meet to this day (Tuesday nights at 6:30 PM). As Pastor, David created the “Dialogue” exchange during worship and opened wide the church doors so that all people might feel welcomed and loved at a time of great social upheaval in this country. 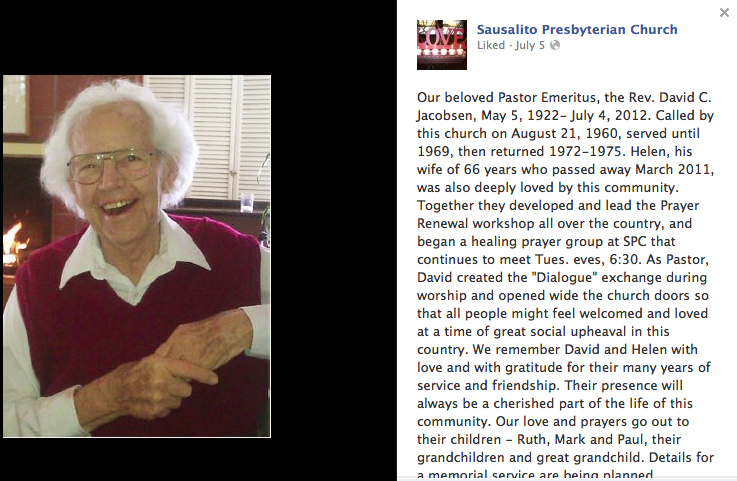 David served this church as Pastor and Pastor Emeritus for over 50 years. Reception immediately following the service, Thomson Hall.